Not only a light we can also adopt this wiring technique for some other electrical devices. Connecting Wires – as required. This Stair Case Wiring can be connected to two possible types. The above figure showing the Stair Case Wiring Circuit Diagram for a Straight Connection. Here the connections are done straight (1-1, 2-2) on the Switch 1 and Switch 2. 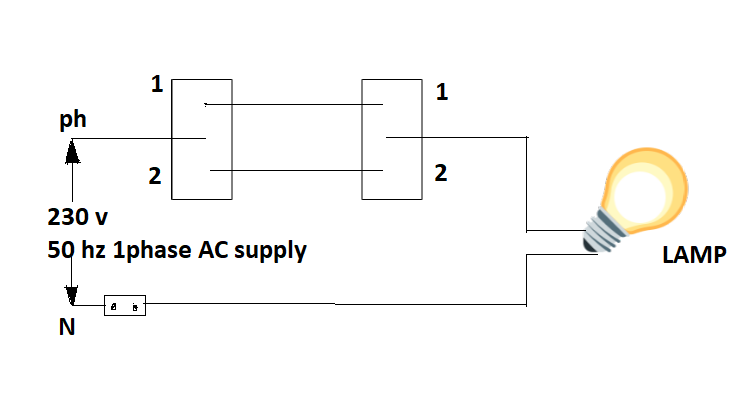 The above circuit diagram showing the Cross Connection of a Straight Case Wiring or Godown Wiring. Here the connections are done Cross (1-2, 2-1) On the Switch S1 and S2. 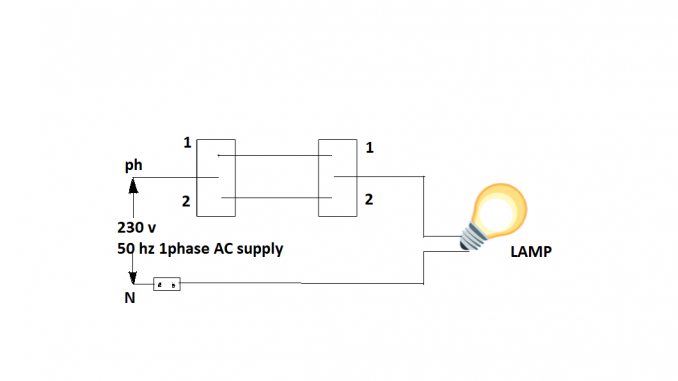 This Circuit diagram can be altered and modified to work for 3 Lamps. Easy to control appliances from various points. Faster control than a single switch. Highly Efficient for larger places. Living Comfort can be increased. For example, in larger apartments or factories, a stair case wiring can be implemented to play to buzzer during emergency situations. The chances of making the buzzer to play (to make it play as soon as fire has been noticed) are high. The Staircase wiring will be replaced by Home Automation (Using IOT devices) in future.